In games such as Craps, where you’re always playing against the house, in the long run you will not win money (mathematically speaking anyway). Most of the bets have a house edge, for example betting on “any 7” has a 17% house edge. This means you should expect to lose money in craps, as the game has negative expected value in total. Now, of course you can prevent the amount of money you lose, and even make profit on occasions, by learning craps strategy. But even if you play optimally, the chances are you will still lose money. This is why a concept known as Bankroll Management is important. Bankroll Management is a term used for limiting how much you take to the casino, and place in bets to prevent going broke too soon. 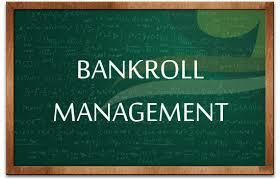 When playing online craps or at the casino, you should limit each bet to 1% of your bankroll. This is the so-called “optimum” bet size because it maximises the amount you can win, whilst also hedging yourself against variance. There is no way you could possibly lose 100 Pass Line bets in a row for instance. Unfortunately, if you are using a betting system such as the famous Martingale betting system, whereby you utilise a “double or nothing” approach, you can go broke quite quickly. This is because the risks involved are very high – even if it seems like a reasonable strategy from the outset. All it takes is around 5 50/50 losses in a row before you lose all your money using this method. That is why I recommend sticking to the 1% rule. You can enjoy your hot streaks at the casino, leave up on profit, and still escape without losing a high amount of your roll. Of course you won’t win as much using this approach, not like the Texan plutocrat next to you blowing $1k rolls on Blackjack, but you’ll also lose much less. In terms of how much you should take to the craps table, that figure is entirely up to you. All I will say here is that you should only take as much as you are prepared to lose. For example, if you can stand to lose $100 without wanting to kill yourself, then that is ok. But, don’t take $5k with you expecting to double it up without understanding the risks involved. I would estimate over 90% of people in casinos lose their money. I know that in online poker, 95% of players lose their money. It is only the top 5% of players, who use optimal poker strategy, that successful make money. Finally, if you feel yourself losing it on the casino floor or playing online craps, it is always best to be open about your gambling addiction and find help as soon as possible. Please visit this page for more information and help – HelpGuide.org Gambling Addiction Page. This section is a brief lesson on which bets you should make and which ones you should not make. Following this tips in your game you will have better chances of winning on each bet. The only good bets in craps are the pass line bet, the don’t pass bet, the come bet, the don’t come bet, free odds (on the pass line and occasional other spots), and placing the 6 and 8, so before you start to play for real money make sure that you understand them and you don’t have no doubt when you place them. The best choice when comes about betting is to choose the pass line bet and the come bet, or the free odds with one of those two. The pass line bet has a house edge of 1.41% and the come bet has a house edge of 1.36%, which is good and if you take free odds on one of them you can reduce more the house edge. Ensure you ‘take down’ any bets that wouldn’t normally be removed from the betting layout on their own. Many proposition bets are left on the board even if you win, and so can be swept away rather quickly. Stay on your toes. The proposition bets from the center of the table have a high house edge. You should not play proposition bets with any consistency. If you are a novice in craps you should better first practice the game with free craps lessons online. Also, you could take advantage of the free craps instructions, which many casinos offer. This way you will can get comfortable tossing the dice and placing your bets. You should try to avoid to make bets against the dice because many players are superstitious and so you won’t be an agreeable presence for the fellow players and you could even get nasty look and bad remarks from them. Use as much as you can from your bankroll in bets with odds. If you’ve got money down on the table, a good portion of it should be on free odds bets, as these are the only ones which are fair and impartial. Pay attention to your bankroll, and try to play with your winnings as much as possible. Craps is a negative expectation game so walking away up, however little, is definitely a win. Never play with any systems, because in craps there are no such systems. Only bet what you’re comfortable losing, and make sure that a good portion of that bet is on the odds. To get familiar with the game and learn the rules and process of play, along with each of the bets and which ones are smart, start with our rules of craps page, and move on to our craps strategy pages.